The gunmen who attacked a Parisian newspaper on Wednesday and left at least 12 dead shouted "Allahu Akbar," or "God is great," as they stormed the building, in a manifestation of what was likely the worst fears of European security officials. While the gunmen's exact affiliation is still not clear, it appears likely they were sympathizers of Islamic extremism. Charlie Hebdo, the newspaper they attacked, has repeatedly published satirical cartoons of the Prophet Mohammed, something forbidden by Islamic law. Europe as a whole, and France especially, has welcomed in millions of immigrants from Islamic countries in the last few decades. France alone now has an estimated Muslim population as high as 6 million, according to the country's interior ministry, out of a total population of about 66 million. This has set up a growing tension as the continent's generally liberal values are put into direct contact with the normally conservative views and practices of many of the Muslim émigrés. CBS News national security analyst Juan Zarate said on "CBS This Morning" that "France has been dealing with the problem of French foreign fighters flowing into Syria and Iraq and coming back into France." He says it may be more likely, however, that the attack on Charlie Hebdo was carried out by "self-radicalized individuals, individuals who take their prompt from the propaganda of these groups and took it upon themselves, perhaps, to attack." Zarate pointed to the attack by young French Muslim man Mohamed Merah, who shot up a Jewish community center and also killed three French paratroopers in the country's south in March 2012, as an example of this sort of violence. 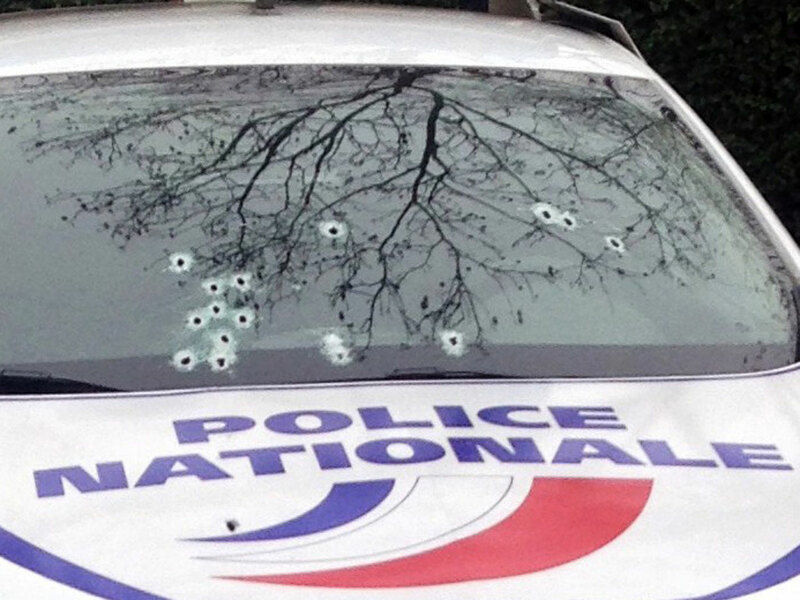 "France is not new to this, and the perpetrators could be a wide spectrum of individuals who were inspired to attack fellow French citizens," said Zarate. As recently as late December, French jihadists who have traveled to Syria to join ISIS on the battlefield have called on Muslims back in Europe to stage attacks. In a video released the weekend after Christmas, a French fighter claiming to be with the group in Hassaka, northern Syria, urged fellow Muslims to "blow up France and tear it down to pieces." In addition to the 2012 attack by Mohamed Merah, a soldier was stabbed in the throat in May of 2013 in the commercial district of La Defense outside Paris in an apparent random attack. He was later discovered to have been undertaking Muslim prayers in surveillance video just ahead of the attack. Just last month, there were two separate instances of drivers ramming their cars into crowds, which further raised fears of homegrown extremism. There was no immediate claim of responsibility for the recent attack in Paris, but security officials across Europe have expressed concern for months that the hundreds of mostly young men who have traveled to Syria and Iraq to fight with jihadist groups could return to try and stage attacks at home. Charlie Hebdo's office was firebombed in 2011 after publishing a cartoon depicting an image of the Prophet Muhammad. Any depiction of the prophet is forbidden by Islam. Ignoring the attack and the threat of further violence, Charlie Hebdo published more Muhammad pictures the following year. Foreign Minister Laurent Fabius likened the act of doing so to "pouring oil on the fire." Charlie Hebdo publisher Stephane Charbonnier said in response the responsibility for any potential ensuing violence over the cartoons are not his fault, but are instead the fault of the people committing the violence. He claimed no responsibility for their actions. "The accusation that we are pouring oil on the flames in the current situation really gets on my nerves," Charbonnier said, according to Der Spiegel. "After the publication of this absurd and grotesque film about Muhammad in the U.S., other newspapers have responded to the protests with cover stories. We are doing the same thing, but with drawings. And a drawing has never killed anyone." While Charbonnier has tried to shift blame, the Muslim world at large has violently railed against the ongoing satirization of the Prophet Mohammed and other aspects of Islam. "The motive here is absolutely clear; trying to shut down a media organization that lampooned the Prophet Mohammad," CBS News security consultant and former CIA deputy chief Mike Morell told "CBS This Morning co-host Charlie Rose. "What we have to figure out here is the perpetrators and whether they were self-radicalized or whether they were individuals who fought in Syria and Iraq and came back, or whether they were actually directed by ISIS or al Qaeda." Morrell added a warning that law enforcement and intelligence agencies would need to "worry about copycat attacks, not only in France but in the rest of the world, and I would even say in the broader world to include the United States." The fear of lone-wolf style attacks, or of individuals or small groups inspired by the violent decrees of al Qaeda and the Islamic State of Iraq and Syria, has spread across much of the Western world. In May of 2013, an al Qaeda-inspired extremist stabbed to death a British soldier on the streets of London. In May of last year, a French national who had spent a year in Syria and had links to Islamic extremists attacked the Jewish Museum in Brussels, Belgium, leaving at least three dead. In October, a gunman shot and killed a soldier at Canada's national war memorial and then stormed Parliament before being gunned down. He talked about his conservative Muslim religious beliefs in a video before the attack. In December, a gunman took numerous hostages at a downtown cafe in Sydney in the middle of the day, forcing some of them to hold a black Jihadist flag against the window during the siege. Two hostages were killed by the gunman, who himself was shot to death when police raided the cafe.